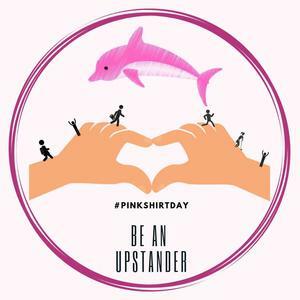 In preparation for Pink Shirt Day, Middle School students participated in an anti-bullying sticker design contest. Bullying can be a problem in every peer group. But how can we have an honest conversation about it? How can students take the lead on initiatives in response to it? And how might images be used to bring these discussions to life? 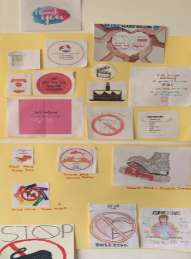 To begin our community's answers to these questions, 19 students worked hard to design creative logos and a group of 47 judges voted on the winning design. The competition was tight and we are proud of all the students who participated. 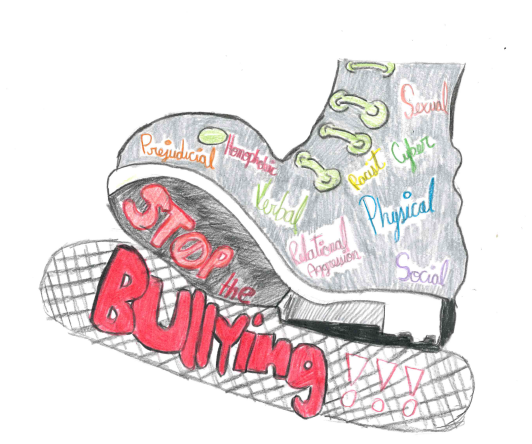 The author of the winning design is Ricky P. from 7th grade. His prize for winning is every kid's dream come true - he will be Assistant Principal for a Day! As part of his duties, he will help lead flag ceremony, meet with school administrators and counselors, monitor hallways and visit classrooms. There was a tight finish for second place: Isabela J. and Carolina R. and third place: Simon K. These students will be assisting our Assistant Principal in his duties during his busy day on April 29th. Meanwhile our Assistant Principal, Mr. Nash, will be busy attending Ricky´s classes, taking diligent notes or even doing 7th grade assessments. Let's hope he's up to the task! Third place winner Simon K reflected on the experience: "I enjoyed designing a logo because I wanted to show an example to my classmates. I designed a circle of chains that connect the ISP profile traits. 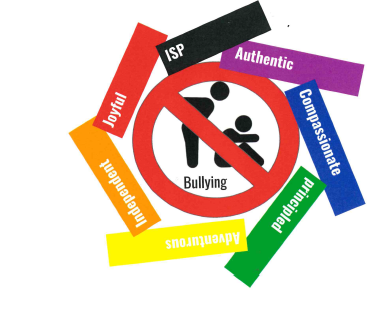 I believe these traits together can help to stop bullying." Henry V. helped Ricky with his winning design. 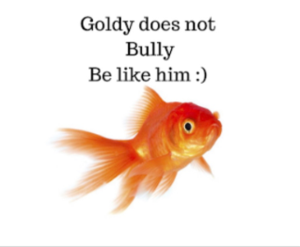 He added his reflections as well: "We wanted to share a positive message. We picked the fish design because we wanted something that would get people's attention so they would like it and remember it later." The PTA will sponsor the creation of stickers from the winning design, and we appreciate their support as well as all of the entries into this fun contest.